The Estates Gazette Law Reports are an indispensable reference for property law practitioners researching and advising on all aspects of landlord and tenant law, valuation, professional negligence, conveyancing, real property, leasehold enfranchisement and compensation. 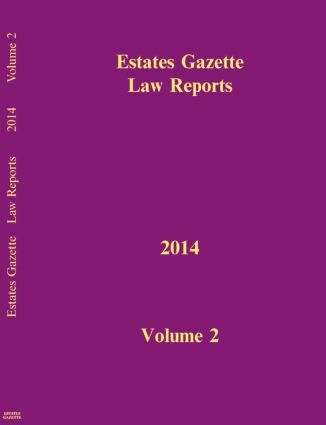 They comprise the law reports published in the Estates Gazette plus new and original cases published for the first time in EGLR. Each volume includes the most significant property cases determined in any given year. Published over three volumes each year and edited by HH Judge Hazel Marshall QC, they conveniently summarize key current property cases.